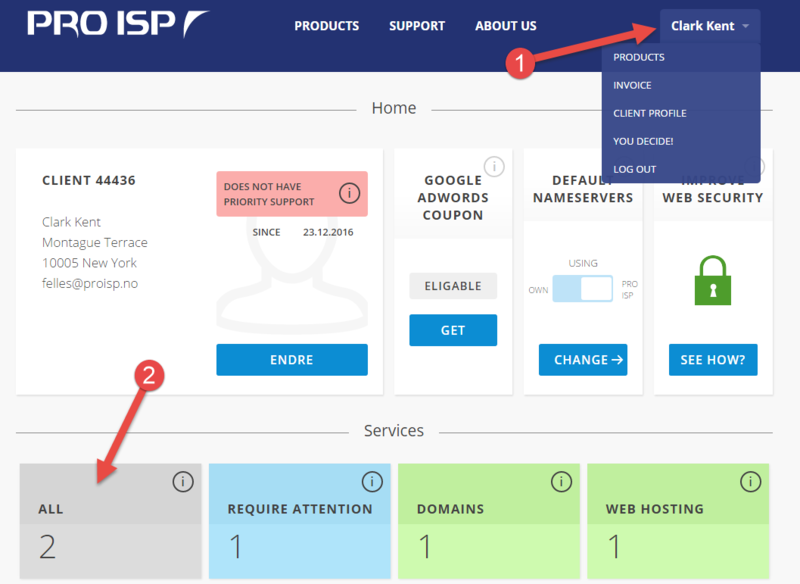 This guide shows how to upgrade services you already have with PRO ISP. 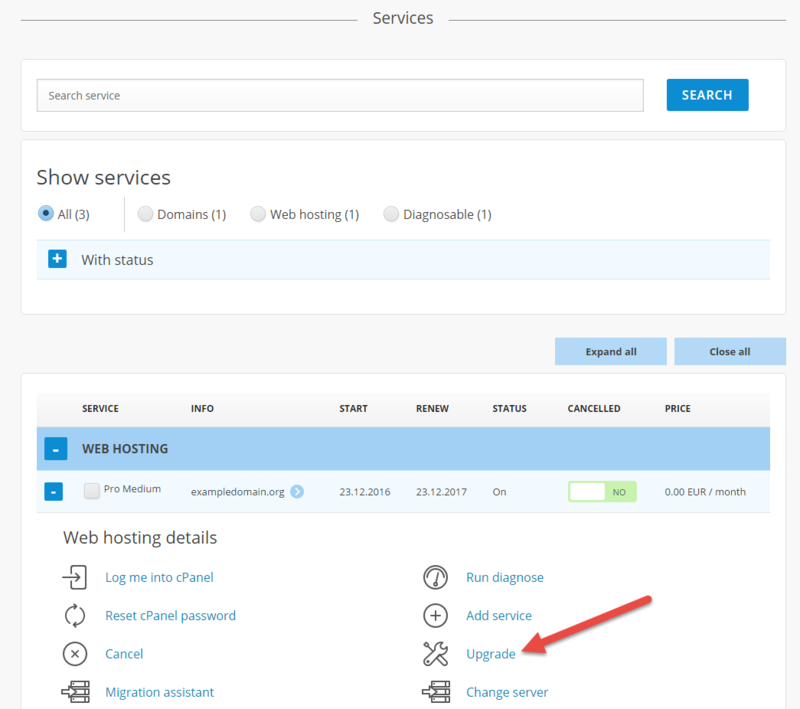 The guide assumes that you have logged in to the client portal with the client number where you want to perform upgrades. Find the package you want to upgrade in the list. It is only possible to upgrade packages with status "On". In this example we want to upgrade "Parking the domain" for dittdomene.net to Pro Medium web hosting service. 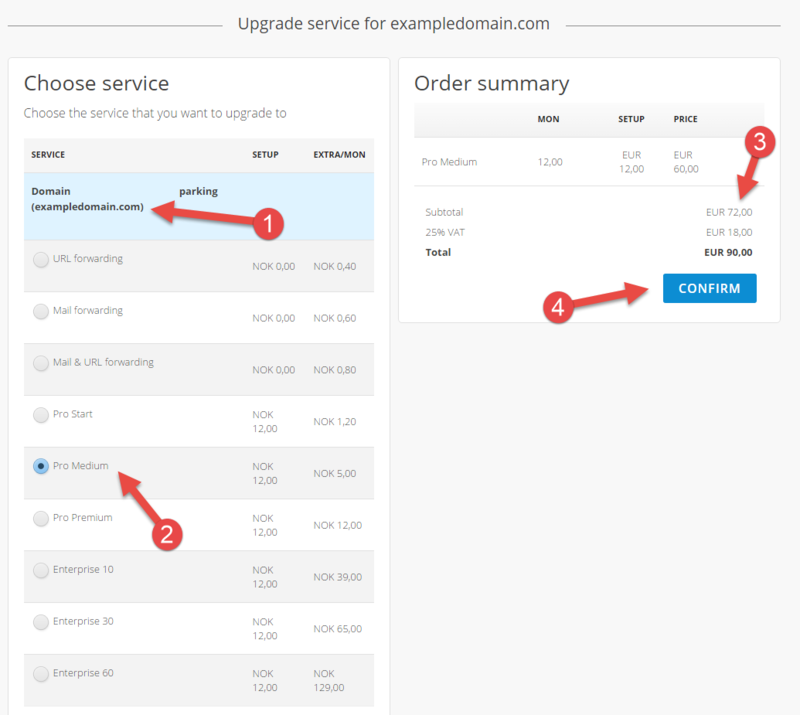 Choose "Upgrade service for the domain". Check that you have chosen the package you want to upgrade. Choose what you want to upgrade the package to. In this case we have chosen Pro Medium web hosting service. Check that the price calculation for the current periode (that there will be created an invoice for) is as expected. Confirm the order by clicking "Confirm". If the upgrade is successful, you will get a message about this as shown in the screenshot below. 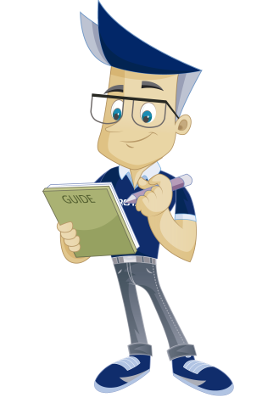 We have now been through how we can easily upgrade a service via the client portal.